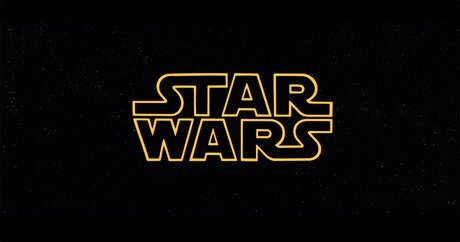 These dog and cat names are taken from characters featured in the Star Wars saga: Star Wars (1977), The Empire Strikes Back (1980), Return of the Jedi (1983), The Phantom Menace (1999), Attack of the Clones (2002), and Revenge of the Sith (2005). Warning: Plot spoilers are revealed below. Amidala (full name Padme Amidala): Anakin’s wife and father of Luke and Leia. Anakin (full name Anakin Skywalker): Padme’s husband and mother of Luke and Leia, Anakin becomes Darth Vader after pledging his loyalty to Emperor Palpatine. Artoo (full name R2-D2): A droid originally designed for repair duty on Padme’s spaceship, R2-D2 is present in all six of the Star Wars movies. Chewie (full name Chewbacca): Friend of smuggler Han Solo. Darth (full name Darth Vader): Anakin’s name after he turned to the dark side of the Force. Greedo: Bounty hunter who is gunned-down by Han Solo. Han (full name Han Solo): Smuggler and pilot of the Millennium Falcon. Jabba (full name Jabba the Hutt): Sluglike gangster and loan shark. Jango (full name Jango Fett): Assassin, bodyguard, and father of Boba Fett, a bounty hunter. Jar Jar (full name Jar Jar Binks): A Gungan from the planet Naboo; probably the most despised character in the Star Wars universe. Jedi: The good guys in the Star Wars universe, they use the Force and fight with lightsabers. Leia (full name Princess Leia Organa): Daughter of Padme and Anakin and brother of Luke Skywalker. Luke (full name: Luke Skywalker): Son of Padme and Anakin, and brother of Leia, Luke becomes a Jedi Knight. Maul (full name Darth Maul): A Sith Lord and first apprentice of Darth Sidious, Maul was defeated by Obi-Wan in a lightsaber duel. Obi-Wan (full name Ben Obi-Wan Kenobi): Anakin’s mentor and friend, Obi-Wan sacrifices himself during a light saber duel with Darth Vader on the Death Star. Qui-Gon (full name Qui-Gon Jinn): Mentor to Obi-Wan, this Jedi master thought Anakin was the “chosen one” and was killed by Darth Maul. Vader (full name Darth Vader): Anakin’s name after he turned to the dark side of the Force. Yoda: Powerful Jedi Master who trains Luke Skywalker during his self-imposed exile on the planet Dagobah.